The primary goal in our infant rooms is to provide a warm, loving and nurturing environment for each child. We encourage them through each of their developmental stages by providing stimulating experiences and age appropriate play equipment. 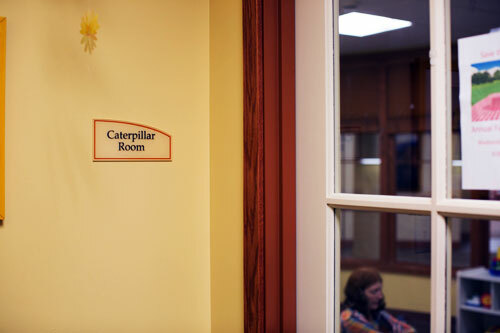 The Caterpillar Room cares for children from 6 weeks to 8 months. Our day is busy feeding, changing, loving and rocking our babies. We have a room full of age appropriate toys to encourage growth and development. 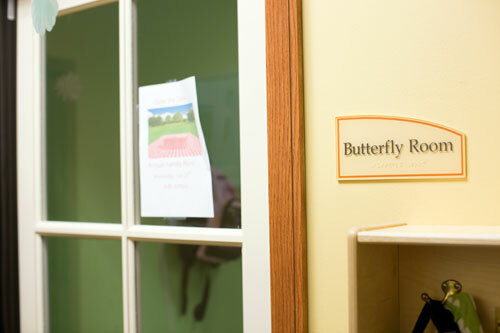 The Butterfly Room cares for children from 8 months up to 16 months of age. Our children are busy exploring the world around them: we introduce art, story time, listen to music, and do large muscle activities (inside and outside). Each child begins working on their self help skills, as well. "The whole staff at Warm World are incredibly welcoming and caring people. I couldn’t choose a better group of individuals to take care of my two girls!" "We did our research and chose Warm World for the caring staff, curriculum, and philosophy of having the children interact with the elderly residents who live there which enriches both groups."